When I was a kid, Mom used to make Bò Kho Sả Ớt for me all the time. 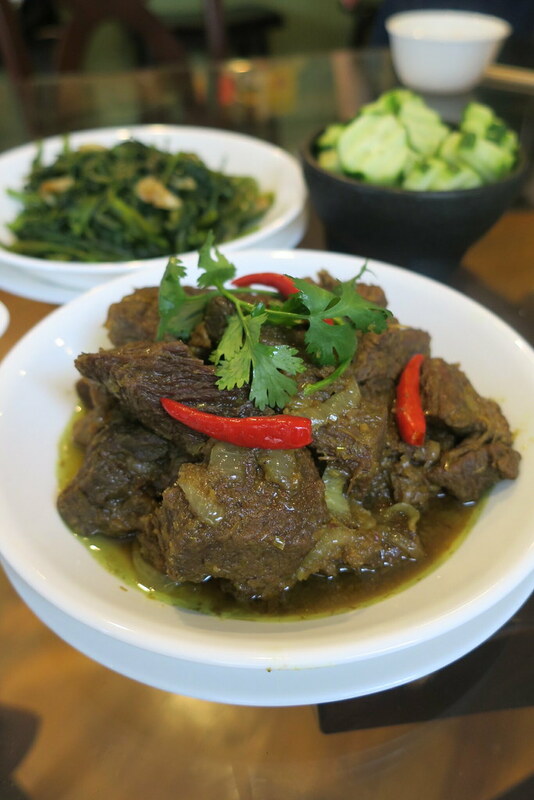 She braised the tender and flavorful beef over low heat for a long time and the mouth-watering smell of the fragrant lemongrass and fish sauce spread throughout our house. When it was time to eat, the succulent beef tasted as good as it smelled and went perfectly with fresh hot steamed rice and cold and crunchy sliced cucumbers. Mom hasn’t made this dish for many years and I just started craving it recently. I found a good deal on Beef chuck at the market and I thought it was be a great opportunity to recreate a childhood favorite. Instead of asking my mom for the recipe, I wanted to recreate this dish how I remembered it tasting. I don’t recall mom ever using coconut juice, but I used it because that’s what I use in all my Vietnamese braised dishes. Fish Sauce and Coconut Juice are a magic pairing in the kitchen. All my childhood memories came rushing back after taking the first bite and I was very pleased with how it turned out. Marinate Beef – In a large bowl, combine fish sauce, lemongrass, garlic sugar, turmeric powder crushed black pepper. Whisk until sugars dissolve. Add beef to large bowl and mix well. Braise Beef – Heat a large pot, preferably dutch oven, over high heat. When pot is smoking hot, add oil and beef. Sear and stir fry beef for about 10 minutes. Add coconut juice and bring contents in pot to a hard boil. Reduce heat to medium low heat, cover with a lid, and cook covered for 45 minutes. After 45 minutes, increase the heat to medium heat and continue cooking uncovered for about 15-30 minutes or until about 3/4 of the liquid evaporates. With about 5 minutes left in the cooking process, add sliced onions and mix well. Add minced Thai chilies to spice up the dish. Turmeric adds a yellow color and subtle flavors to the dish, but you can exclude if you don’t have it available.